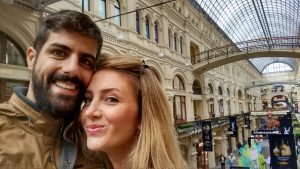 One of the most important goals of our blog is to discover and present to you travel tips and services! 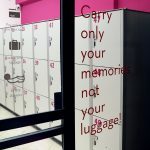 A travel service that we discovered recently in the center of Athens is The lockers Athens! The Lockers Athens is an automated lugagge short term storage service, located in one of the most central points of Athens, in a very beautiful and aesthetically modern space, where you can safely store personal items, travel luggage and anything else that is weighing you while you are in the city centre! To whom is it addressed to? To travelers who want to leave their luggage safely. To those who went for shopping and there are no any hands free left to carry more bags. To those who travel for business meetings and want to leave any unnecessary baggage. To those who are on the run all day and want to get extra clothes for the night. To transit travellers who want to keep only their memories. To you and to what may be your burden. 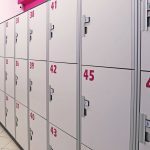 Why choose The Lockers Athens? For the comfort of travel. For its convenient location at a central point in Athens. For its economical and secure service. To support travel initiatives and services that only aim to ascend your travel experiences! We found ourselves in The Lockers Athens facilities and had the opportunity to meet the sweet people behind this project! You can also visit the Lockers Athens, use its storage services and feedback your impressions! We love to discover new travel friends, their quality services and anything that has to do with travel! *For security reasons, the central unit does not accept cash (coins or bills). You can pay with the tokens dispensed by the vending machine available on site. **The article is not sponsored. All the opinions expressed are the result of personal opinion and initiative!